Order Fields allows you to map order fields to member fields. 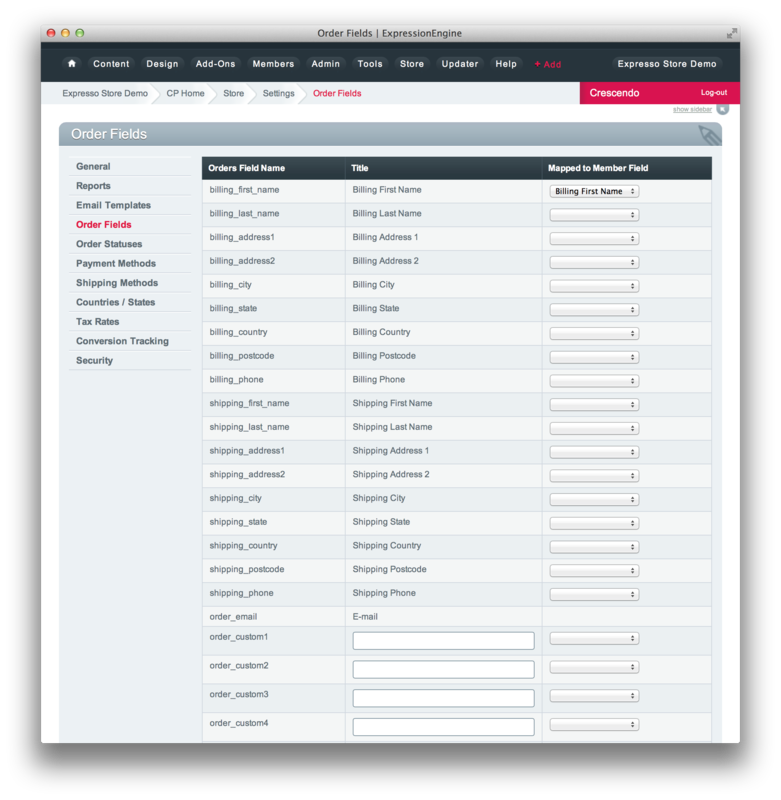 When fields are mapped, they will be automatically loaded in to new carts for logged in members. After an order is placed, the member fields will be updated based on the value of the current cart. You can use this feature to provide a "Remember My Details" feature.